Planning to embark on a dream vacation with your loved ones and falling short on funds? Fret not, we are here to help you out. 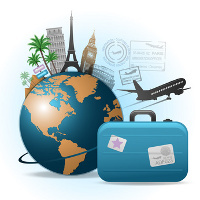 We are instrumental in providing all type of loans that can help you manage all travel expenses transportation, hotel, tour package, travel gears/ accessories or any other type of expenses that are associated with your voyage. BRC Services is a Mumbai (Maharashtra, India) based service provider agency involved in providing loan consultancy to travel crazy people. The perks of our services include minimum paperwork, 24x7 professional assistance and early disbursal. So, contact us anytime.